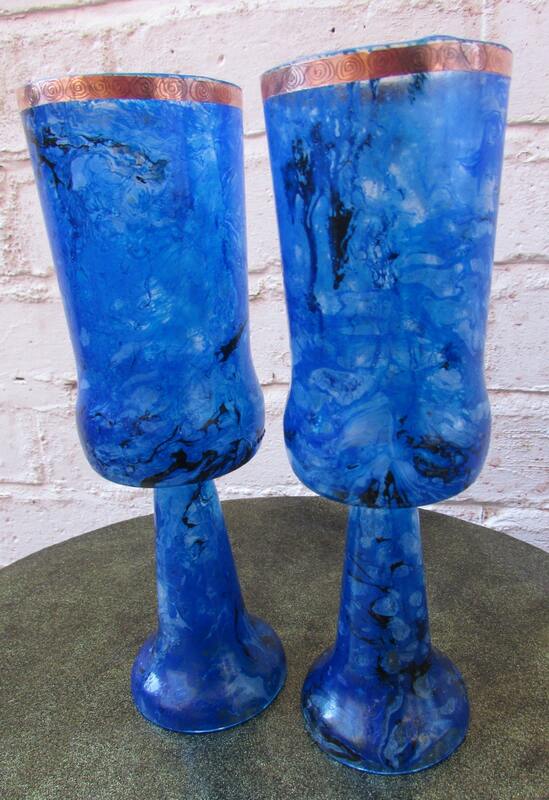 A handsome pair of goblets cut from bottles. 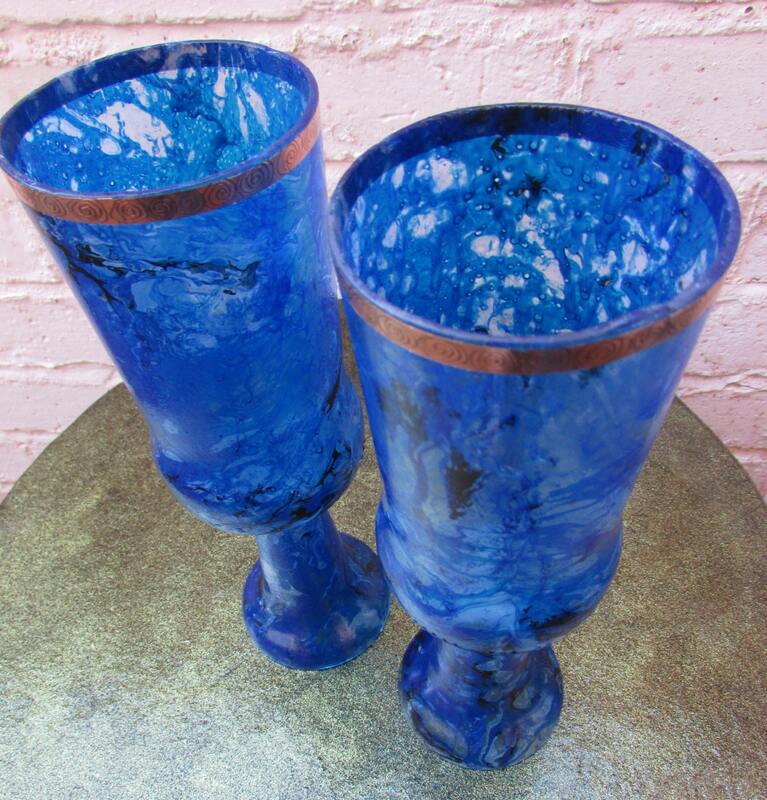 They have a blue marble-wash glaze and have an etched rim accent of pure copper. 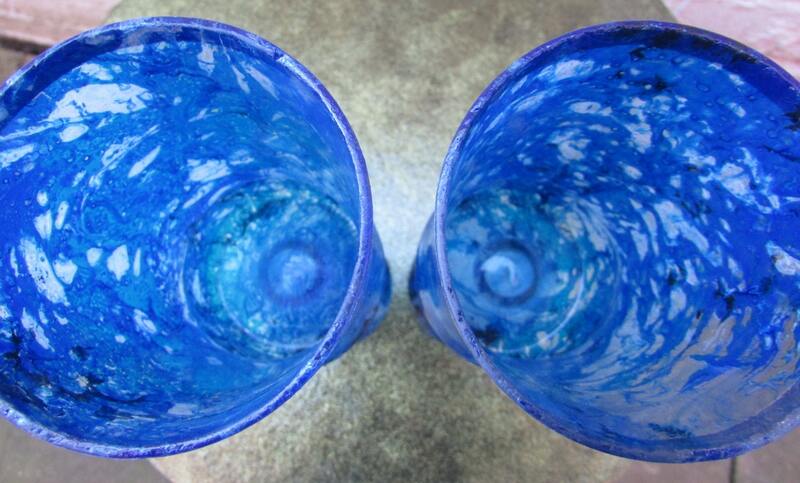 Each holds 390 ml and stands 25 cm high.